Advanced protocols are set to become a ‘dominant storage networking protocol’. Non-Volatile Memory Express (NVMe) will replace flash storage, Europe’s IT professionals agree. According to a new report by the Enterprise Strategy Group, 60 per cent of European IT professionals agree with the above statement. Among those that are currently using NVMe, the figure rises to 87 per cent. More than half of organisations have already begun implementing SDS solutions. Business intelligence, analytics, digital media, collaboration and the IoT are most responsible for the need to grow storage, the report says, adding that eCommerce and social networking data are also worthy of mention. 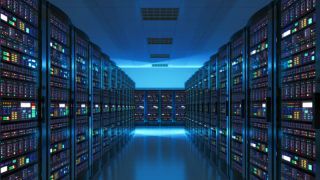 More than half of organisations would consider buying storage infrastructure from a start-up, it was said, which is now considered a ‘reversal of longstanding perceptions’. The report also has some hard figures: 10 per cent of organisations already use NVMe. More than a quarter (26 per cent) are planning on using it, and a third (34 per cent) are ‘interested’ in deploying VNMe-based tech. A third (31 per cent) of those currently using VNMe think advanced storage networking protocols are set to become a ‘dominant storage networking protocol’.